Over $200 million in recovered wages. Representing employees with wrongful termination, unpaid overtime pay & medical leave issues since 1999. It's Your Time, It's Your Money. You work hard and you deserve your fair compensation. Together, we will help you fight against discrimination in the workplace and to recover your unpaid overtime wages from any job you have worked at within the past three years. We have helped tens of thousands of workers stand up for their right to be fairly compensated and treated equally since 1999. 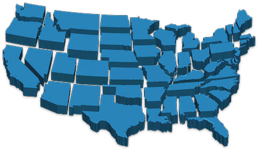 Our top tier attorneys represent clients across America with their labor law needs.